When I was young (just a little girl), not that I am too old (maybe I am), I used to wonder if my parent do ever sin against God. I used to think that every adult had this sufficient good will to live a life free of sin. At least, for my parent to ask me not to do something, I think they had that expectation that I had the will not to do something wrong. I also remember asking a friend of mine (who happens to be my husband now), “do you ever sin?” I think I saw myself as the worst reflections of sin and I thought he was an angel. I am referring to the recurrent habit of sinning against God even after one is saved. I used to tell myself, I would grow up and have this sufficient good will to live a life free of sin. But, the more I grew, the more I developed the tendency to sin. I constantly find myself moving from what we call petty lies (although nothing is petty before God) to great and grievous ones that can’t be mentioned on a paper. Even as a Christian, I still find myself going back and forth, asking myself, “how do I break free from the Power of Sin?” I find myself praying and praying over again for forgiveness. If forgiveness was offered as a voucher system, I guess I would have exhausted mine. A few weeks ago, I stumbled on the song, “I am no longer a slave to sin”…and it got me thinking about “being a slave to sin”. This is my lesson summary. Hope you are blessed by it. Countless believers struggle with sin in their lives. We do not sin because we are temporarily overwhelmed by a strong passion of the moment. We sin because we have a nature of sin, of self-centeredness; we hunger after things that are wrong and we easily yield to sin. We cannot help ourselves at times. Man is born unto sin (Job 5:7). We all are born to share that fallen nature. Christ has come to break us free from the power of sin within us. Although, it feels like the harder we try to break from the power of sin, the more we get entangled with sin. The perfect example would be somebody who's trying to lose weight and loves chocolate. The harder they think about losing weight, their ability to resist the chocolate becomes much stronger. We need to come to know and understand God's love for us if we are going to break free from the power of sin in our lives. As we grow in understanding of His great love for us, our human spirits will respond. We will begin to hate sin because of our love for God. 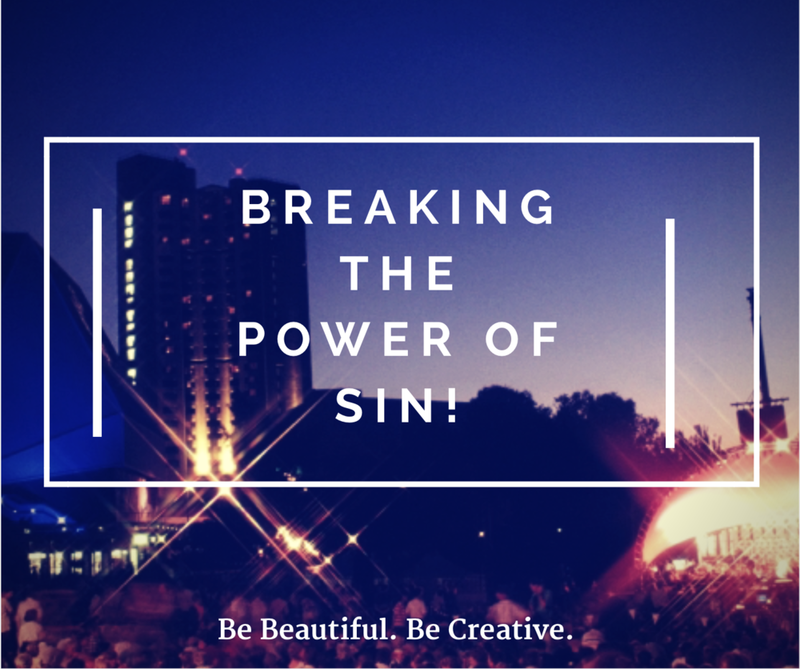 To answer the question, “how do I break free from the Power of Sin?” We need to be firmly grounded in Christ Jesus. Just plunge in knowing Jesus Christ. Devote yourself to this and sin won’t seems to be a responsibility anymore. In simply terms, light comes, darkness disappears. We need no long effort to chase darkness away, just bring light into the room.